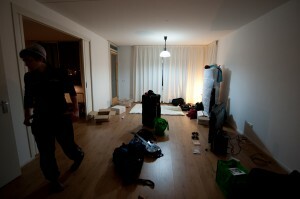 The team has recently moved into our latest, and (hopefully) most permanent accommodation yet – flat oranjewoud. This move has caused me to reflect on my recent, rather nomadic existence. So I present a feature article on the various places I have lived in recently. They say that a man’s house is his castle. I haven’t lived at “home” with my parents since I was about 14 years old when I moved from Hong Kong to boarding school in Melbourne. Accommodation took the form of dormitories shared with progressively fewer people as one advanced in years. While at Melbourne University, I lived in a three-bedroom apartment overlooking the Royal Exhibition Gardens. This is easily the nicest place that I’ve called home. It was host to my 4-times-a-year solstice and equinox parties which took place on the saturday night closest to the spring/autumn equinox or winter/summer solstice. 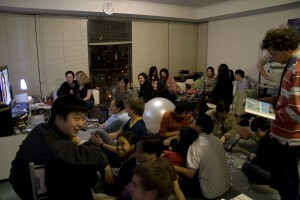 These gatherings were attended by a very diverse group of people and often included singing, dancing, and jamming on various musical instruments including, of course, the piano. Oh, there was also alcohol at these parties. I should probably mention that. 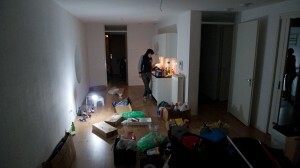 Possessing three bedrooms also allowed it to provide accommodation for visitors. 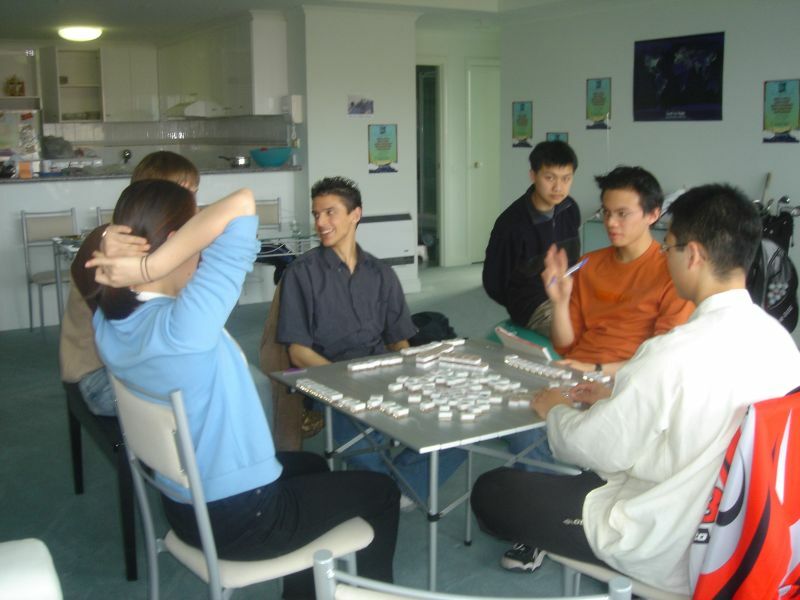 For long periods of time, I would host a friend or two just for a bit of company. 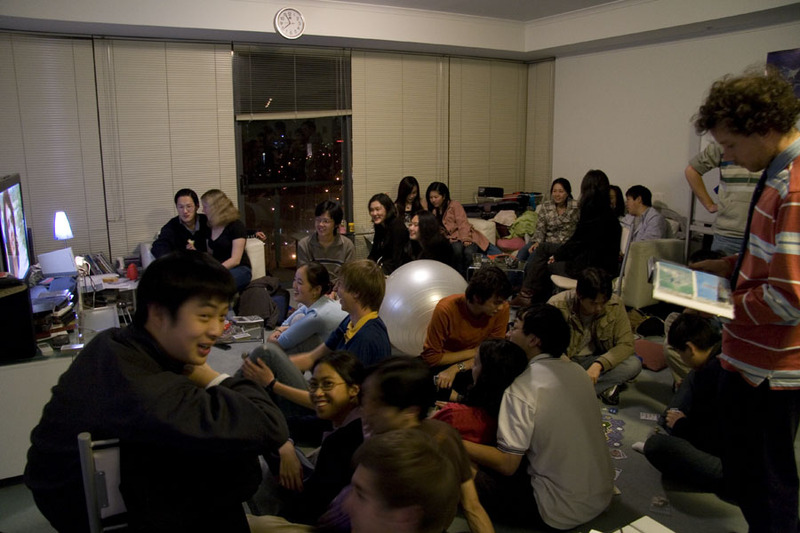 At parties, it was not unusual for people to spread themselves out over the living room floor. After living there for seven years, I moved to New York. I lived on the upper west side of Manhattan on 86th street, between Broadway and Amsterdam Ave. Because rent in Manhattan is kind of ridiculous, I lived in a ground floor studio apartment with no natural light. I lived there for about a year and slept on a couch (which I eventually sold to a friend, and crashed on it many times in subsequent New York encounters). There was actually another chair in the room which folded out into a stretcher-sized single bed (you can just see it in the foreground). Except a speed skating track. So after living there for just over a year, I moved to the Netherlands. Now my choice in accommodation was non-existent here because it was all provided for as I was now a heavily-sponsored elite athlete (supposedly). Our first base was the “city” of Enschede, and our resting place was Resort Bad Boekelo, which used to be a giant water park but had since been converted to a complex of serviced apartments which were actually quite pleasant, even though they were a long way from everything. 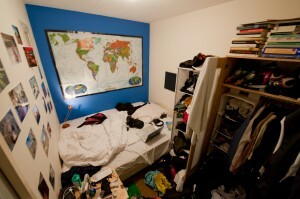 Between two and three people shared a two bedroom apartment, and I had a bedroom for myself. Although I did struggle a bit to fit everything in; that’s what she said. After living there for most of the winter, we moved to apartments much closer to the city center (Bad Boekelo was a 40 minute bike ride from everything), although initially, we had a shortage of furniture. 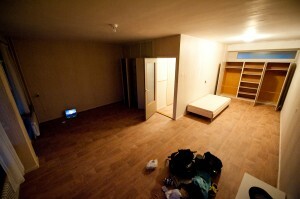 These apartments were in a new housing development and lacked basic things like curtains, lights, and any furniture. For a week or so, I slept of a sheet of cardboard. We eventually furnished these apartments and they turned out to be very spacious and liveable. They were also a 10 minute walk from the town center, which was very convenient. Unfortunately this was to be short-lived, because as soon as we came back from Calgary finale, we had to move again, to our current base of Heerenveen. We lived at a hotel called the Heidehof for almost two months (we were told we’d be there for three days) before we finally moved into our new apartments at Flat Oranjewoud. It’s an old people’s home, which goes some of the way to explaining the smell. On the plus, I now have my own apartment, although the bathroom smells so bad that I don’t really ever want to go in. Hopefully we’ll be here all the way until after the Vancouver 2010 Olympics. The old people are nice and the view is extremely relaxing. Location-wise, it isn’t bad – we’re about 5 minutes by bike from Heerenveen’s town center, and about 2 minutes by foot from Thialf, one of the world’s most awesome ice skating tracks (those who have been following my facebook photo albums should note that this is the same track where all those competitions that I shoot take place). I would LOVE to. Do you happen to have any world-class ice skating facilities? Nice new digs — the website, I mean. Also enjoyed the tour around your homes.